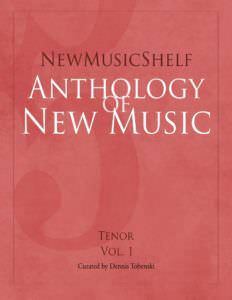 Tenor Dennis Tobenski and pianist Trudy Chan perform the 20 songs collected in the NewMusicShelf Anthology of New Music: Tenor, Vol. 1. Dennis Tobenski is a vocalist with a passion for performing new music by living composers. He is also a composer, and a strong advocate for new music and for the interests of living composers. Called a “dynamic vocalist” by Anthony Tommasini of The New York Times, and “a skillful and sensitive singer who shapes phrases and renders text with expert care” by Gregory Berg of Journal of Singing, Dennis’s focus as a vocalist is primarily on the works of the 21st and late 20th centuries. He has premiered works by David Del Tredici, Chester Biscardi, Ricky Ian Gordon, Darien Shulman, and Hadar Noiberg, among others. In February 2016, he and pianist Marc Peloquin released their first album together, a disc of 19 art songs by living American composers titled And He’ll Be Mine, which features works by David Del Tredici, Chester Biscardi, Zachary Wadsworth, Darien Shulman, and Dennis Tobenski. Dennis received his B.Mus. in Vocal Performance and Music Theory & Composition from Illinois State University, and his M.A. in Music Composition from The City College of New York. He studied voice with baritone John M. Koch, and his principal composition teachers have included David Del Tredici, Chester Biscardi, and David Feurzeig. He is a member of the Board of Advisors for Composers Now, and the Board of Directors of the KeyedUp MusicProject. Dennis lives in New York City with his husband Darien Scott Shulman and their cat Pistachio. For more information, visit www.dennistobenski.com. 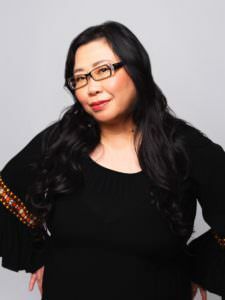 Trudy Tong Ti Chan has been actively involved in many aspects of music for many years. Originally based in Hong Kong where she worked as a pianist, harpsichordist, choral conductor, and musicologist, she is currently based in New York City where she continues to maintain a busy schedule in a variety of musical activities. In Hong Kong, she served as the staff accompanist for the Hong Kong Academy for Performing Arts and additionally performed with the Hong Kong Sinfonietta, in the Hong Kong Fringe Festival, and with DanceArt, as well as for Channel 4, Radio Television Hong Kong. During her years based in Hong Kong, she also spent five summers in Orvieto, Italy, to perform as both pianist and harpsichordist at the Orvieto Musica Festival. 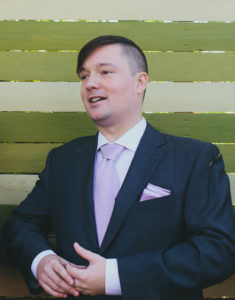 Since relocating to New York, Chan has performed solo, chamber, and orchestral music as both pianist and harpsichordist. Chan served as the harpsichordist for an all-Telemann concert at St. Peter’s Church, and as pianist in the Sonos Chamber Orchestra in performances of music by Ferruccio Busoni, Claude Debussy, Gustav Mahler, Jean Sibelius, and Michael Torke. Chan has also performed the Duo for Cello and Piano by Arthur Berger, plus solo piano works by Irving Fine and Nicholas Slonimsky during the Annual ASCAP Deems Taylor Awards ceremonies at Lincoln Center. As a solo harpsichordist, she participated in Pianoless Vexations, a whole-day event at the Sculpture Center in which Erik Satie’s notorious day-long piano composition was re-interpreted on instruments other than the piano. In addition, she has performed solo piano and harpsichord works by Frank J. Oteri in a variety of venues including the Cornish College of Music’s PONCHO Concert Hall in Seattle, where John Cage first prepared a piano. Chan worked at the Promotion Department at the New York office of Boosey & Hawkes for over a decade. Since Fall of 2015, Chan has been running Black Tea Music which specializes in managing and promoting composers. For more information, visit www.blackteamusic.com.